DEx provides real time, two-way transfer of data between an EAM/CMMS system and eclipse. Work orders, assets and personnel information can be easily kept in sync, creating an integrated safe system of work for teams on site. 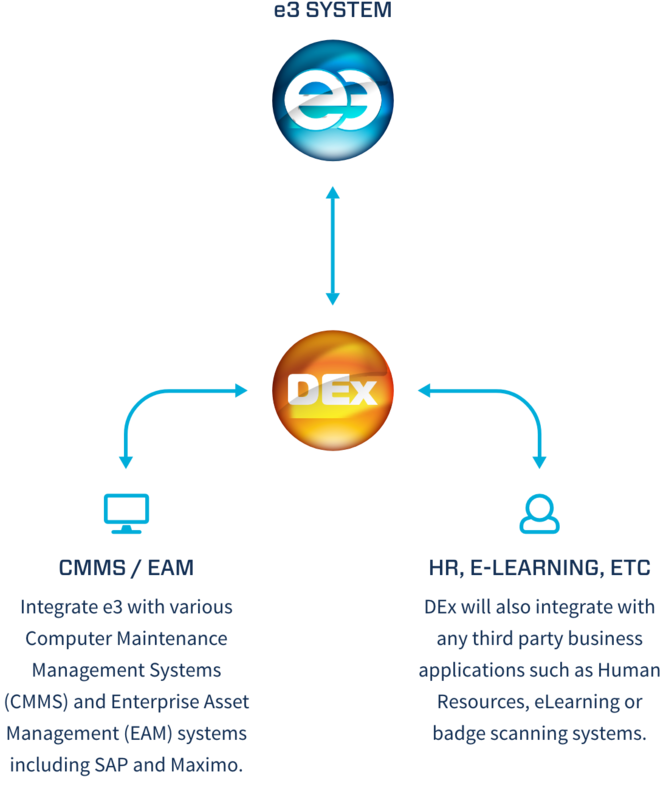 NiSoft’s integration module, DEx, is currently being used in many of our client locations worldwide to integrate our e3 system with various Computer Maintenance Management Systems (CMMS) and Enterprise Asset Management (EAM) systems including SAP, Maximo, Oracle, Infor, Ellipse and other major systems. 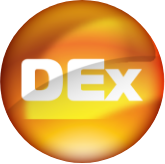 DEx will also integrate with any third party business applications such as Human Resources, eLearning or Time Recording, badge scanning systems. DEx, provides near real-time transfer of data between your EAM/CMMS System and e3 using web services, csv, and XML files to transfer information. Communication with the 3rd Party applications is handled via plug-ins which implement the DEx API. This API opens DEx to 3rd Party developers and allows changes in requirements to be handled by the customer, if preferred. Multiple plug-ins can be installed which can run side by side allowing multiple different systems to be integrated with e3. Data that can be imported/exported through DEx includes Notifications, Requests, Work Orders, Documents, Equipment and Personnel details. Data is transferred in jobs and jobs are queued within DEx using persistence storage that ensures data is received at the implemented plug-ins or e3 in the correct order even if or when one end of the DEx communication is down. With e3 expanding into new product areas, many other data types have been interface through our API to provide fully integrated management of processes.